He says he asked lawmakers for $44.1 million in additional funding for education in this year's supplemental budget (HB 2014) to make up for declining revenue from lottery sales and casinos. But the Republican-led General Assembly provided only half of that amount for the current school year. The governor told reporters at the Capitol that GOP leaders have left him no choice. 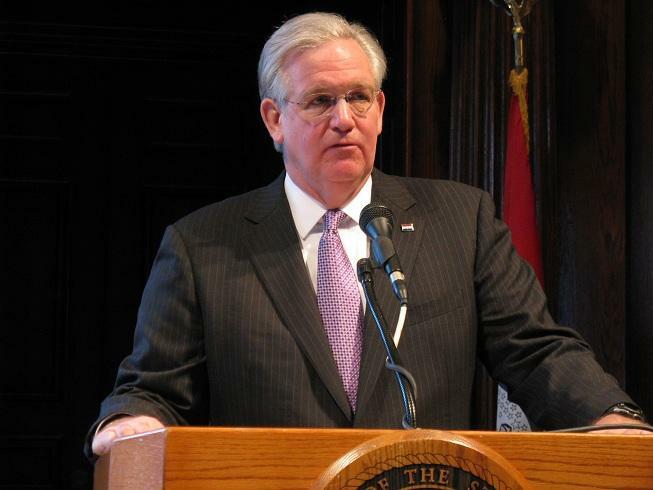 "These are real cuts that will affect all Missouri students, even though there is sufficient general revenue available right now to cover the shortfall and make our schools and higher education institutions whole," Nixon said. The governor also wants lawmakers to make up the difference in next year's state budget. "While it is too late to fix this problem for the current fiscal year, I call on legislators to right this wrong by including that additional funding in the Fiscal Year 2015 budget to make up for this loss," Nixon said. "That budget is under consideration as we speak." The 13 bills making up the state budget are currently in the hands of the Senate Appropriations Committee. Nixon also criticized that committee for cutting $4.6 million from the Department of Social Services' budget that was earmarked for case worker expenses within the Children's Division. In response, House Budget Chairman Rick Stream, R-Kirkwood, says the governor's cuts were unnecessary. "We did put $22 million extra into the (K-12) foundation formula for the next (fiscal) year," Stream said. "He really did a disservice to the community colleges in that withhold, because it basically was a 2.2 percent decrease to their funding line, whereas for four-year institutions it was just a 0.3 percent decrease."